Lord, Your Spirit releases creativity and faith, encouraging me to step forward and succeed financially. Lord, what gifts, passions and talents have You anointed me with which equip me to serve humanity well in a special and unique way? What activities energize my spirit? Lord, what paths do You want me to explore? Lord, what are the new skills (talents) You are asking me to multiply so I can step forward into greater success? Who are the new connections You want to provide for me which will open up new doors? How am I to reach out and build a relationship with them that will bless them as it blesses me? What doors do You want me to knock on? Who are some good mentors, who are effectively producing in this area, whom I can contact who may agree to guide and counsel me? Make me glad to pay them for this service, knowing the return on my investment will be well worth it. What specific goal do You want me to pursue today? What are Your thoughts on how to achieve this goal? Action: I step forward into these areas, seeing You at my side. I am tuned to the flow of Your Spirit within which releases wisdom, guidance and creativity moment by moment. I focus intently on these activities, passionately pursuing and mastering the skills You are asking me to master. Your guidance leads me in the steps I am to take to succeed. You open doors before me. I honor and respond to the flowing thoughts, pictures and feelings you light upon me as I pursue these Spirit-given goals. I choose to embrace this process of change and growth with a heart passion, full of love, anticipation and thankfulness that You are leading me to victory (Matt. 25:14-30). My prayer times will involve dialoguing with You about how to best move forward and master the skills You have asked me to master. I gladly take the time to master them, knowing they are part of my spirituality, and part of Your plan for my life. Nothing is secular. Everything is spiritual, so I give myself wholeheartedly to the mastery of these skills, trusting in Your anointing to guide me each step of the way. I ask for ongoing direction, throughout the day, staying tuned to the flow of Your Spirit within. I honor and act on these ideas which light upon me continually. They are Your voice leading, guiding and anointing me. Guide me to the best mentors and best tools to masterfully and completely succeed. I look for them. Thank You, Lord! I receive these gifts from You now. By Your grace, I press on to success! I lay my hands on my heart and I speak faith to my heart. Faith, arise! Faith, arise! Faith, arise, in Jesus' name. Lord, I receive Your gift of faith to believe for complete financial freedom (Eph. 2:8). Your compassion and grace sustain me. You remove all fear and doubt. You bring my heart and mind into perfect alignment with Your will. I speak Your blessing over every activity in my life as I perform it. Do You Need to Break Off Financial Curses? My attitude has changed. I thank You, Lord, that I no longer experience struggle, negativity attached to effort which leads to failure. I thank You that all I have now are challenges, which attached to thankfulness leads me to victory. My continual praise silences the voice of the accuser (Matt. 21:16; Ps. 8:2). Thanks be to God, who always leads me in triumph in Christ, and manifests through me the sweet aroma of the knowledge of Him in every place (2 Cor. 2:14). With a big smile on my face, I celebrate my lifestyle of divine creativity, divine connections, divine anointing and divine prosperity. I celebrate the new skills (talents) I am mastering under the leading of the Lord. They carry me to new places, new victories, new relationships, new abundance. My service to humanity has expanded, and many are being blessed by my life. I enjoy and celebrate the gift of life which God has given me. Thank You, Lord, for Your anointing, gifts, passion and fruitfulness! Mark Virkler, Ph.D., has authored more than 50 books in the areas of hearing God's voice and spiritual growth. He is the founder of Communion With God Ministries and Christian Leadership University (cluonline.com), where the voice of God is at the center of every learning experience. Mark has taught on developing intimacy with God and spiritual healing for 30-plus years on six continents. The message has been translated into over 40 languages, and he has helped to establish more than 250 church-centered Bible schools around the world. 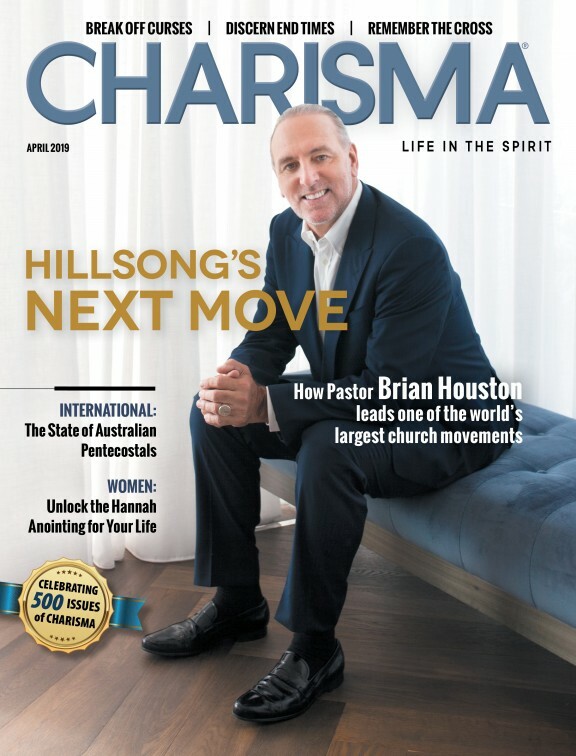 This article originally appeared at cwgministries.org.